Servanthood-Part Two. One Towel or Two? My wife Sandy, years ago, had a powerful dream. She and I were sitting on an airplane, preparing to land. It was a typical airplane setting, with seats six across. The plane was very crowded and as Sandy looked around the cabin, she recognized others we knew at the time, all preparing to land. We were obviously all going to the same destination and it had been a long, hard flight. 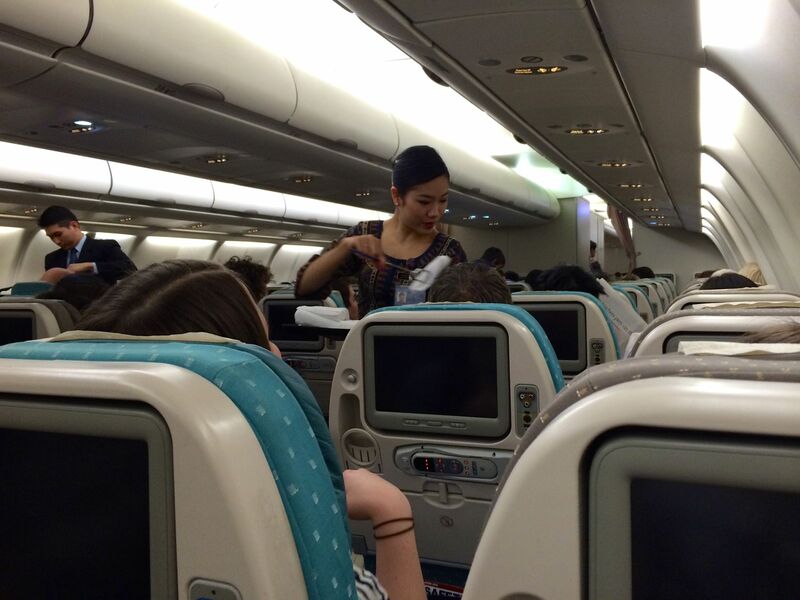 It was warm and sticky in the cabin…stuffy air from all the people crammed into their seats. Many were sweating and dapping themselves on the face and neck with napkins. Sandy knew by looking at the scene that we were all tired and a bit weary from the long trip. The cabin also had a very unpleasant odor as well. All the sweating had made the airplane smell like a locker room, if you get my drift. BO is what we call it. Suddenly, Jesus appears at the front of the cabin. He is dressed as a steward, walking down the aisle offering all the passengers two services we all obviously needed. First was a steaming hot cloth napkin, soaked with warm soothing moisture. Back in the day, airlines would offer this type of refreshment to all travelers, but now it is a service given rarely today, and only to first-class passengers. If you know the kind of napkin I’m referring to, there is nothing more refreshing when you’re hot and sticky to take a warm steaming cloth napkin and wash your face and hands. A dry towel usually follows, and indeed, Jesus had a fresh dry linen towel for each passenger as well, as He walked down the aisle. In His other hand was a basket of personal deodorant sticks. These were obviously there to address the BO problem so many of us were experiencing on this hot, sticky flight. But now for the surprise in the dream. When Jesus walked up to Sandy and me, we immediately took the warm napkins from Jesus’ hand, refreshing ourselves just as they are designed to do. But then, when Jesus offered us our deodorant sticks, we ever so nicely refused. As a matter of fact, as Sandy tells me from the dream, we were pretty snotty to Jesus, telling Him we were very appreciative of His kind offer, but that we had absolutely no need for any deodorant! And then Sandy woke up. So often I get offended when God tells me this, refusing His kind offer of holy change that can cleanse me from my sinful stink. Jesus says here, if we don’t allow Him to wash us, we will have no part of Him. Hmm. Anybody smell a whiff of BO around here? My prayer: Lord, in all truthfulness, when left to my own devices, I stink. And You are the only one who not only can tell me that truth, but can also offer me a heaven-sent solution. Holy Spirit, thank You for the prompting that tells me I need to humble myself and receive both Your refreshment and Your cleansing. For Your name’s sake. Amen. My questions to ponder: How am I like this airline scene, where refreshment from Jesus is always welcome, but true cleansing is much less desirable? Am I guilty of assuming the BO in the room comes only from others? How can my leadership in receiving these hard corrections from the Lord open the door for others in my midst to be receptive as well?